ICELAND. Hvalfjörður. 2007. 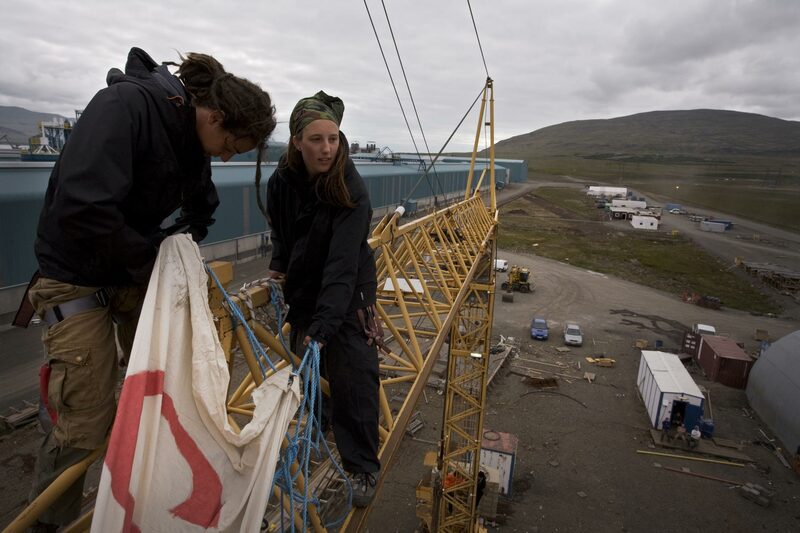 Environmental activists connected to the Saving Iceland movement after having climbed a construction crane at Century Aluminium's Grundartangi smelter in Hvalfjörður.